These dedicated Fairwood Lions Club volunteers are ready to sell trees for a good cause. 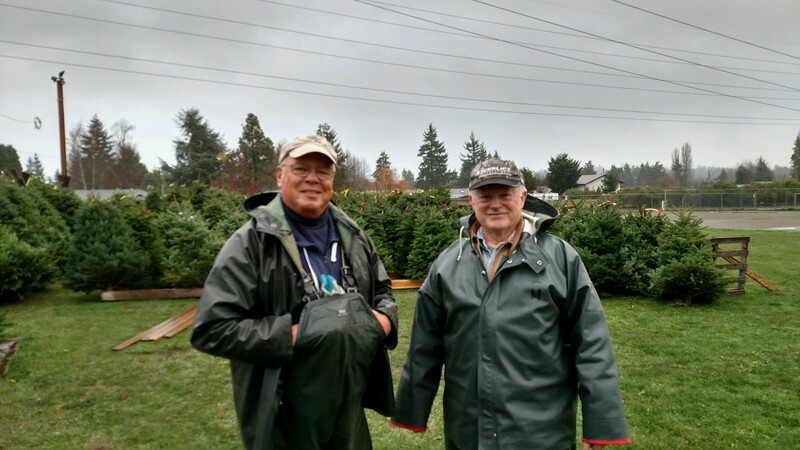 If you haven’t picked up your Christmas tree yet, don’t forget to shop at the annual Fairwood Lions Club’s tree lot at the CVAC baseball field, adjacent to the Cascade shopping center on 116th Ave. SE. Happy volunteers will sell trees Monday-Friday from 4-7pm and Saturday-Sunday from 10am-6pm until they are sold out. Proceeds of trees sold will support a variety of worthy community needs throughout the year. “We help with eye glasses, hearing aids, needed clothing for kids at four local schools, and much more,” said Lions spokesperson Carol Johnson.